Aimee has spent nearly 20 years helping to launch and build consumer goods, services and technology brands through creative communications campaigns and strategic media relations. Her client experience includes work with such well-known companies as Deloitte & Touche, Orbitz, Best Western International, ARAMARK, Michelin and the Kimpton Hotel Group, as well as many fast-growing start-ups and consumer tech brands such as Coravin Wine Access Systems, Kurbo Health, nousDECOR, RetailMeNot, 99designs and True Link Financial. Aimee also played a key role in the launch of the Coravin Wine Access System, a transformational new product in the wine world that’s been featured in the New York Times, Bloomberg News, the Washington Post, Food+Wine and Wired. The year of its launch, Coravin was selected by Popular Science as one of its “hottest new products for 2014” and was tapped to appear in the prestigious Neiman Marcus 2014 holiday catalog. During the first six of her 10+ years at Allison+Partners, Aimee also led the ZipRealty business, helping to grow the online real estate brokerage from a regional start-up into a national, publicly traded company operating in more than 35 cities across the U.S. She played a key role in guiding the company through its successful IPO and in developing messaging and media strategies as the company launched new features, entered new markets and transitioned leadership. 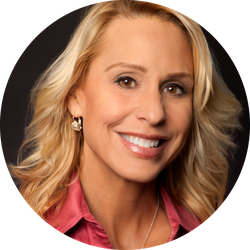 During her tenure on ZipRealty, Aimee and her team secured consistent coverage for the company in everything from the Wall Street Journal, Associated Press and Time to “Good Morning America,” CNBC and CNN. Most recently, as principal of Smitten Communications, Aimee has executed successful launches for several of Silicon Valley’s most buzzed-about startups, including home décor site nousDECOR, senior fraud prevention service True Link Financial and Kurbo Health, which was just named one of the top 20 hottest women-founded startups by Business Insider. She is also an ongoing media strategist and consultant for the Kimpton Hotel Restaurant group’s national brand PR team. 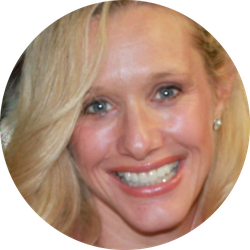 Kimberly brings more than 15 years of experience in consumer tech PR and strategic communications. Before striking out on her own, Kimberly worked for Schwartz MSL, where she built and co-led the consumer PR practice in San Francisco. While there for nine years, she developed strategic communications programs for innovative consumer service and technology companies to build brand awareness, drive traffic and grow adoption. Over the course of her career, Kimberly’s focus has been on promoting and bringing new consumer products and services to the market. Some of the more recent brands she has worked with include Townsquared (social network dedicated to connecting neighborhood businesses), Remind101 (free communication platform built for teachers), Lively (smart home sensor and wearable to help seniors remain independent), Rev.com (best place for freelancers to work), Eventbrite (plan, promote, and sell out any event) and ModCloth (indie and vintage fashion). Other clients she’s worked with include Backblaze (online backup), SimplyHired.com (job search engine), RetailMeNot.com (online coupon codes) and Getaround (peer-to-peer car sharing). 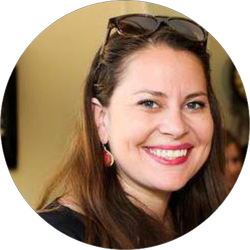 With over 10 years experience in fashion, lifestyle and consumer technology PR, most recently Lindsay has worked with consumer clients including Made Eyewear, Teva, BloomThat, Gilt City San Francisco and Gilt Groupe to increase awareness and presence in the Bay Area as well as nationally. Lindsay has launched multiple e-commerce sites, startups and apps including Loving Eco, nousDECOR, Fluidstance, Hipiti, Snapette, and Rocksbox. She has executed the openings of the Official America's Cup Sports Bar, Molina Restaurant, Charin restaurant, and worked with Destination Saratoga to increase awareness of the town's businesses (including Plumed Horse, Mountain Winery, Cooper Garrod Vineyards, Preston Wynne Spa). Lindsay also manages North America PR for Singapore-based software company muvee. In addition to creating and implementing traditional public relations campaigns, Lindsay has also grown online and social presence for all clients and executed countless launches, events and media tours. She has been featured and quoted as an industry expert in the San Francisco Chronicle, SFGate.com, Refinery29 and various fashion and lifestyle blogs. Lindsay graduated with a degree in Print Journalism from the University of Southern California.